We recently attended Toddler Bounce at The Bounce Factory in Warren, NJ. 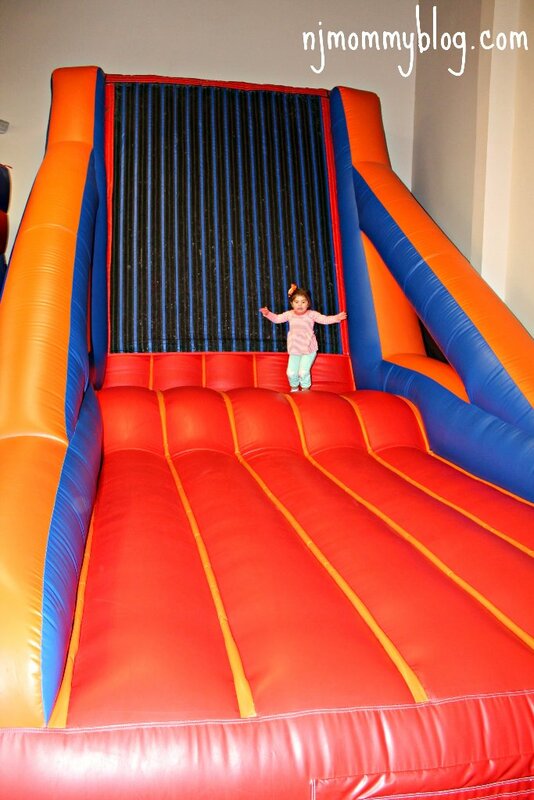 It was such a great way to expend energy and such a great option to keep my daughter physically active during the cold winter months. 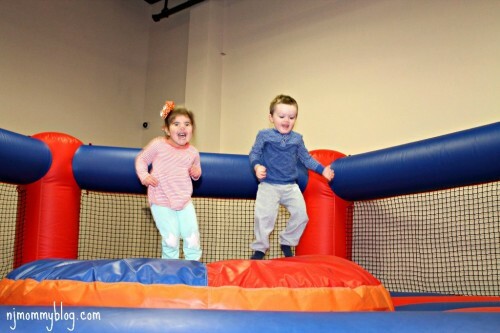 With obstacle courses, giant slides, climbing walls, and monster bounce houses, reserved only for kids ages 2-5, Toddler Bounce was two hours of pure fun that left both of my little ones and me exhausted. There is a large free parking lot for The Bounce Factory. Parking is available in the front of the building and on the side. 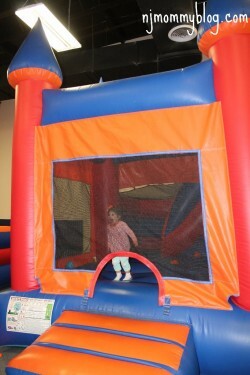 Toddler Bounce Sessions are held most Tuesdays-Fridays from 10am-12pm (You can arrive any time during the two hours). 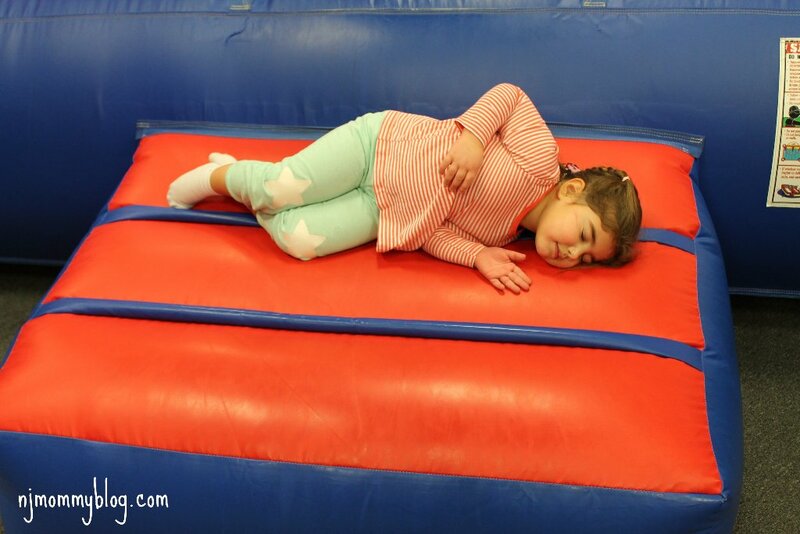 Pajama Bounce Sessions (ages 2-5) are held in February on Saturday mornings from 9:00am-10:30am. Wear your PJs! Call ahead. Reservations are needed. $12 Ages: 2-5 Parents can bounce free with their kids. 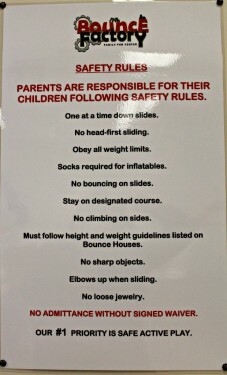 Socks and a signed waiver also required. There are two large connecting rooms with massive inflatable fun. 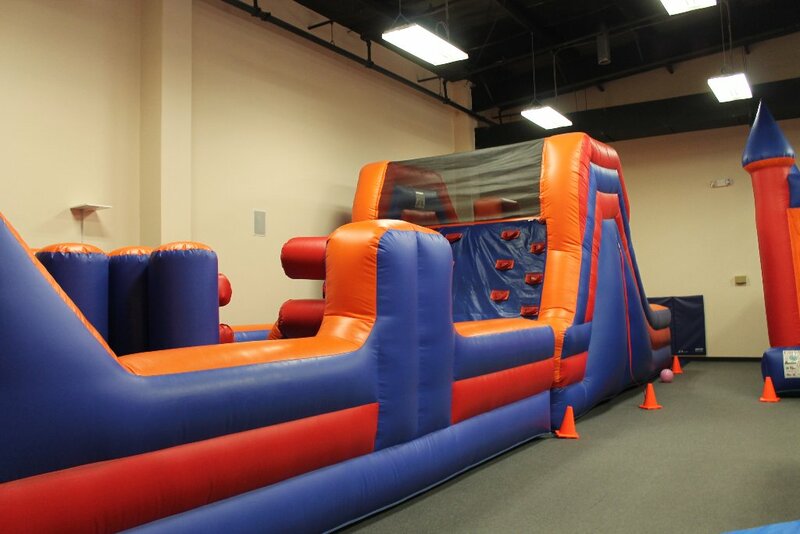 There’s a jousting area, thrill zone, 360 obstacle course, 20′ double lane wavy slides and 20′ double regular slides, fun castle with slide, velcro wall, and a 40′ obstacle course. There is also a set of small inflatable ride on animals. My daughter and her friend dove right in and started jumping. 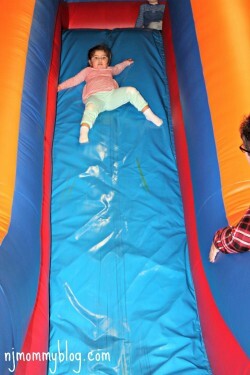 At first I was a little hesitant to jump, but once I got started I didn’t want to stop either. 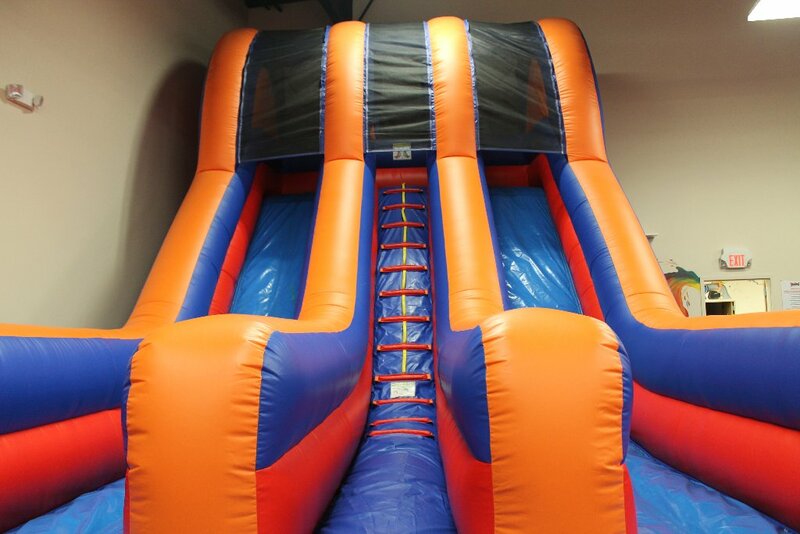 We spent the full two hours jumping and left exhausted. It was so much fun and a great workout too! Because reservations are required, it was not crowded. It was also perfect that the session was limited to toddlers so you didn’t have to worry about little jumpers getting trampled. There are vending machines and a water fountain at the entrance of the building by the restrooms. 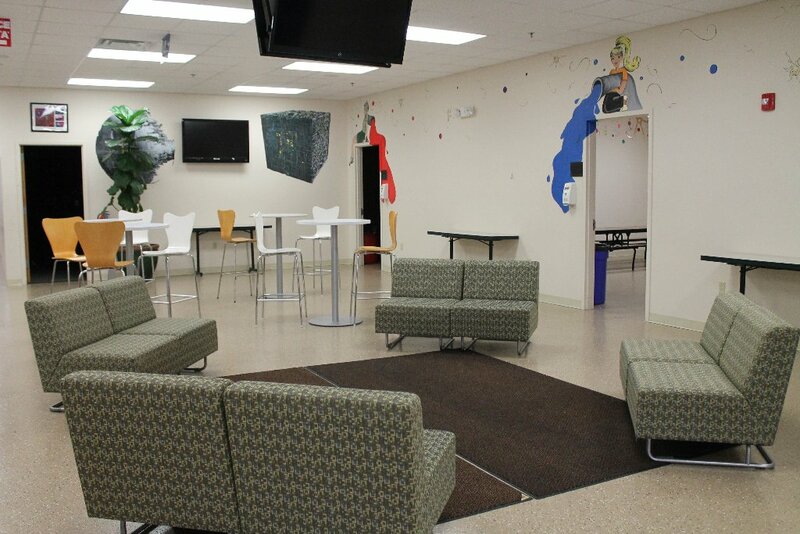 There are tables outside the bounce area where kids can rest and/or have a drink and snack. 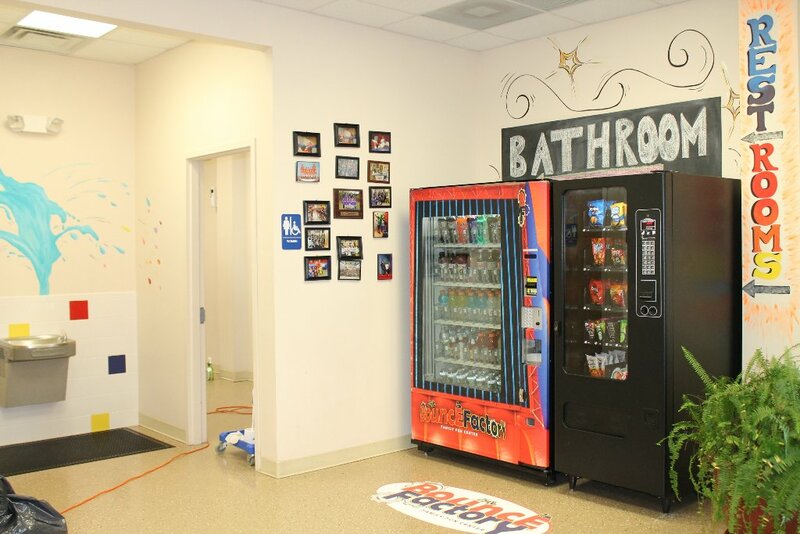 Restrooms are located at the entrance of the building. They were family friendly and very clean. Mommy, can I take a nap? Ummmmm YES!! This is absolutely what I want to see/hear when I’m ready to leave a kids place! 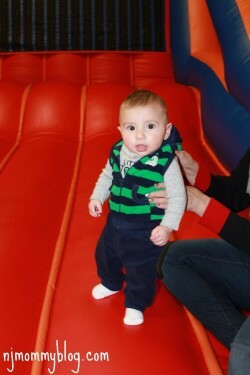 Truthfully, after two hours of bouncing, I was ready for a nap too. 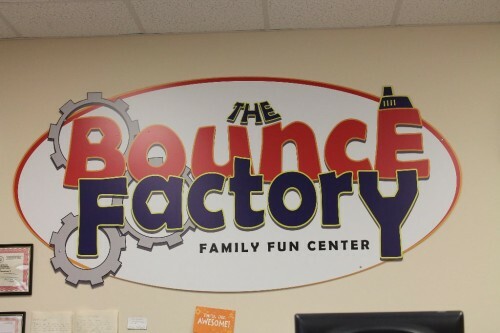 I loved Bounce Factory and my kids did too. 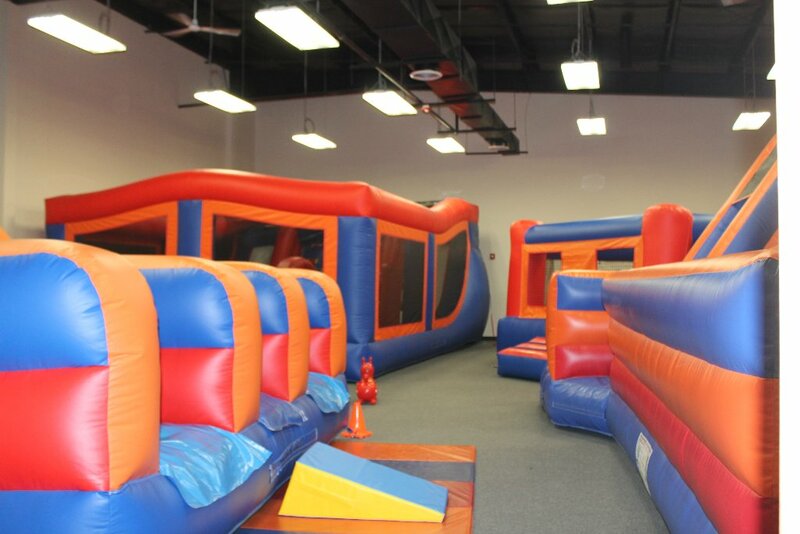 What a great place to have fun and get some exercise on a cold day. 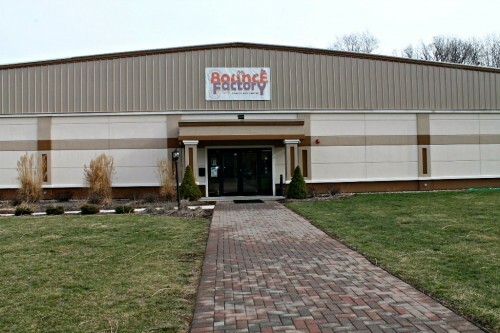 The staff was so friendly and the whole facility was very clean. We definitely will return before the winter is over! 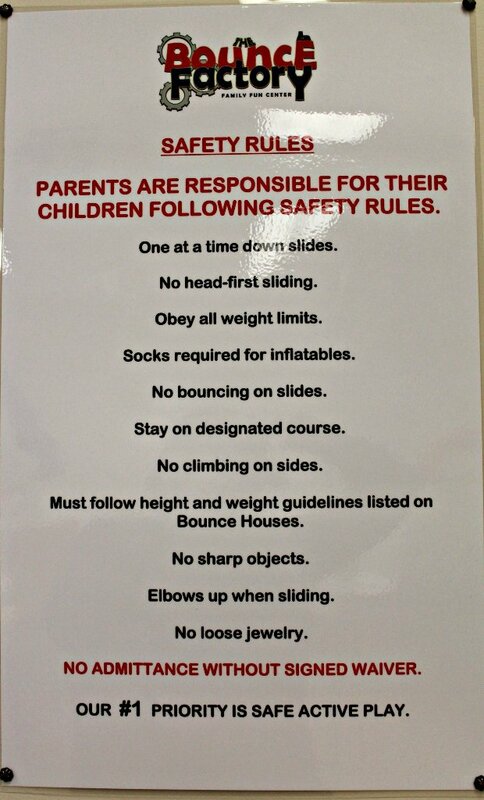 Posted in Family, Family Day Trips, Travel. Tagged Birthday Parties, Bounce Factory, Bounce House, indoor play area, indoor playground, NJ, Somerset County, Special Needs, Toddler Bounce, Warren, Winter Activities.